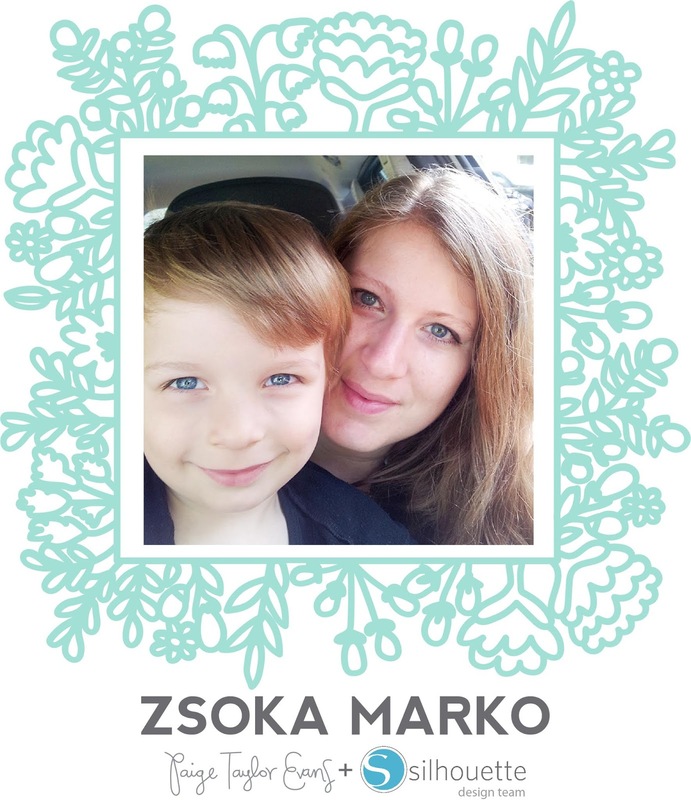 Hello crafty friends, Zsoka here with a new layout I've created for the Paige Evans + Silhouette Design Team! I decided to go with the Flower cut file and my favorite papers from the beautiful Pick-Me-Up collection! In Silhouette Studio I designed my page: I multiplied the flowers and changed their direction so they don't all look the same. I arranged them in a circle only leaving space for a photo in the middle. Then I sent it all to my Silhouette Cameo and cut the image from white cardstock. I layered some tissue papers and tags behind my photo and adhered all to the background paper. I then went through all my embellishments and pulled everything out that I thought matched. 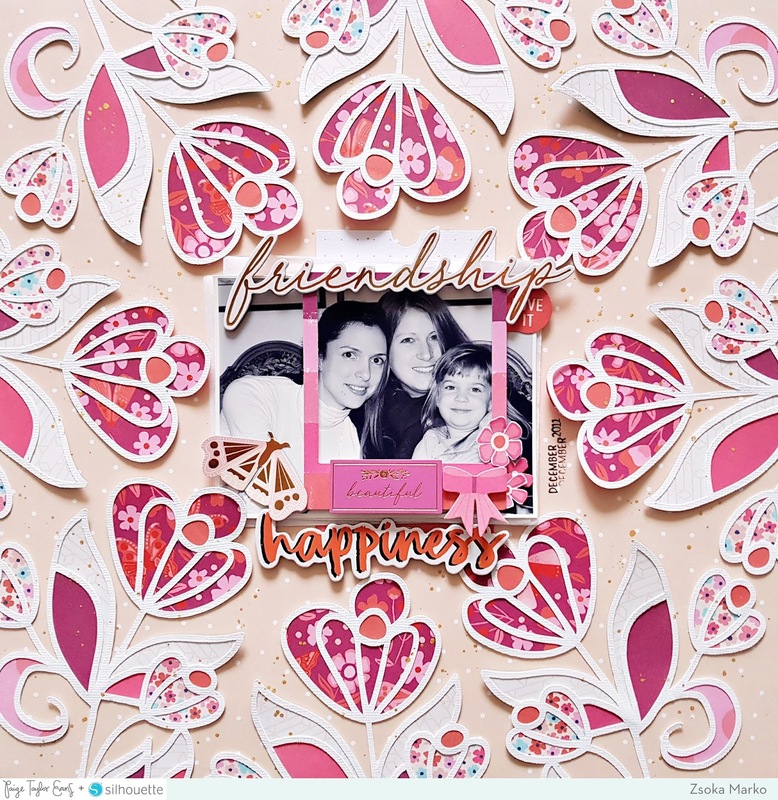 I was pretty happy to find the Friendship Chipboard Sticker because this picture is of me and my best friend in the whole world! We've known each other for 25 years! Actually as you're reading this, she will be arriving to Barcelona with her twins to spend a week with us on holiday woot woot! I love her to pieces! I added another chipboard piece and a few die cuts. I felt like this layout didn't need more! Oh, and I splattered some Heidi Swapp Gold Color Shine around the page too. I hope you like how this turned out! Thanks for stopping by today! I wish you an awesome day!